Sometimes the only umbrella base that will work is a flat one; there are some patio furniture tables that are built with low bracing or cross-bars which makes it impossible to use a typical umbrella base. 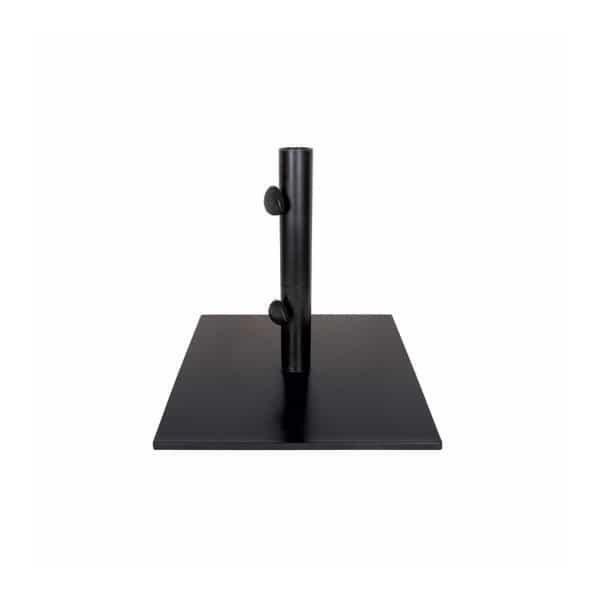 The Steel Umbrella Base by Treasure Garden is the perfect solution for either residential or commercial applications. 70 pounds of steel will keep the largest umbrella in place. 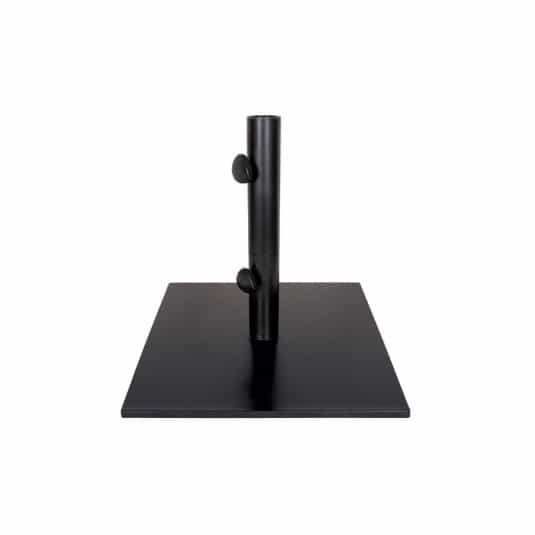 The Steel Umbrella Base by Treasure Garden is available in a black powder-coat finish. Base Size 19" x 19"